Capcom and SNK's rivalry actually began a number of years before Street Fighter II and Fatal Fury arrived in the arcades. The "Look, we can do it too!" back-and-forth exchange translated into several classic hits from both sides, including Capcom's 1985 Senjō no Ōkami (better known in the West as Commando) and SNK's Ikari Warriors in the following year. While both titles went on to become revered run-and-gun classics, there was a small yet brilliant twist that failed to be translated to the home conversions of SNK's title: The rotary joysticks! While in Capcom's Commando you were always forced to fire in the direction you were moving (often into an incoming line of enemy fire), on Ikari Warriors (and a few other games that will be a part of the upcoming SNK 40th Anniversary Collection) the cabinets came with rotary joysticks which allowed the players to move and aim in distinct directions simply by twisting the handle left or right. We've been hard at work on #snk40th, a compilation of SNK's criminally underlooked output from the days before the Neo Geo. By mapping firing directions to the right analog stick, the classic SNK titles that used rotary sticks will now become full-fledged twin-stick shooters. This will surely make them an easier experience than the original arcade counterparts. It's a far better option than simply assigning extra digital buttons to twist your avatar left and right. What do you think about this modernised take on classic SNK games? 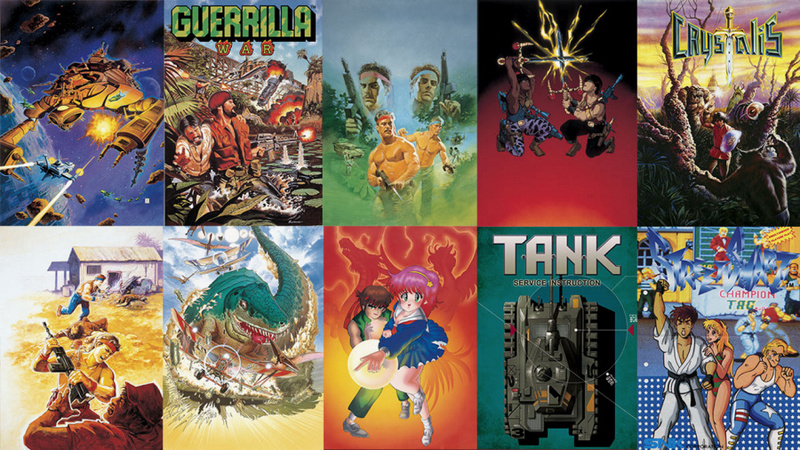 Are you looking forward to picking up SNK's 40th Anniversary Collection when it releases on the Switch later this year? Leave your twisted replies below. This actually makes these games a must buy. Loved Ikari Warriors in the arcade but was disappointed by the Spectrum version. I’m terrible at rotary stick games and their console ports, so twin sticks makes this a huge control improvement in my opinion. I'll stick with playing this on the Nintendo switch instead. 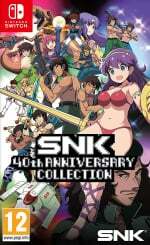 @kevin2345 Right, hence " Are you looking forward to picking up SNK's 40th Anniversary Collection when it releases on the Switch later this year? " ....Where it will use twin sticks, offering an improvement...Which is what the article is talking about....Which will be on the Switch. Article: "McDonalds offers drive-thru delivery so patrons can be served in their car"
You: "I'll stick with being served in my car instead"
Well, I mean... how else were they going to do it? Twin stick use has been a real thing for a long time. I guess the point is "getting" rotary stick games to work as twin sticks. Well anyway, great job, and I look forward to Ikari Warriors finally. @TossedLlama You misspelled 'Guevara' there. I'm actually surprised Nintendo hasn't come out with different "classic" type arcade control schemes for home consoles as their key gimmicks. Maybe not rotary sticks, but the old arcades (heck even new arcades) or filled with crazy control schemes just waiting to be tapped for home. That’s a huge improvement, tiny little rom hacks like these can make all the difference when replaying a classic on modern controllers. @HobbitGamer - Totally. A good run on a twin stick game is the most “in the flow” I can feel in gaming. Smash TV for life. I know rotary sticks have their fans, and they definitely have their place in gaming history; but there’s too much unintentional rotating for me, and I really don’t like rotating with shoulder or face buttons on consoles. Edit: I’ll be skipping this on Nintendo Switch though, and I’ll pick it up on my Nintendo Switch instead. That Digital Eclipse does nice work. Please consider autofire, Digital Eclipse. With the same setup in Heavy Barrel on the Wii with a Classic Controller or GameCube pad, it really wears on you to be constantly tapping a shoulder button to fire. Preferably map the primary fire button that has been set to autofire to the right analog so that anytime you're aiming, you're also firing your primary weapon. Or at least enable autofire for the shoulder button that you've mapped the fire button to so that we at least can hold it down to fire rather than constantly depressing and releasing it to fire a new round in these button mashers. I already have my pre-order in for the special edition! I expected to read about motion control providing a solution, but alas, no. Well this makes me want to get that collection now. I considered it a bit too far back for my interest, but with better control it could be fun. 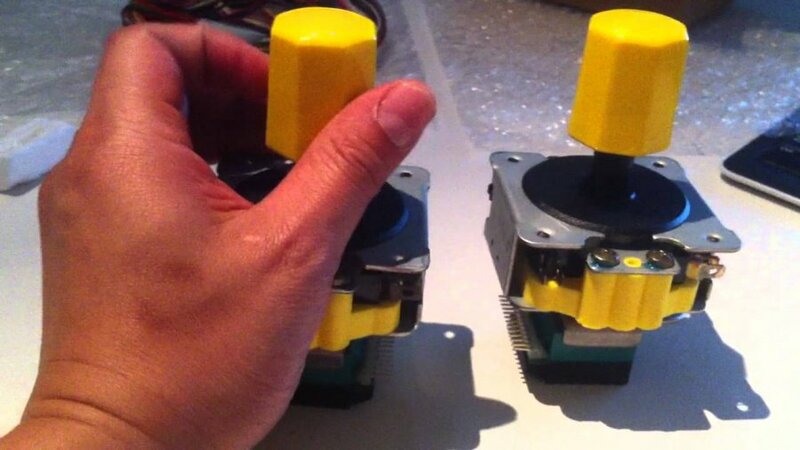 This is exactly what I was hoping they'd do- turning rotary controls into twin stick. Day one download for me. Looking forward to some SNK goodness. I remember those SNK LS-30 joysticks well. I hope that my favorite rotary joystick game, Time Soldiers, makes it to the Switch. It was originally made by Alpha Denshi, but SNK bought all their old IP.